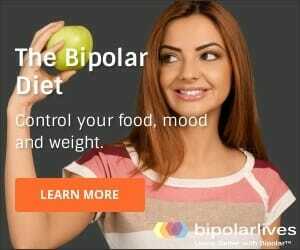 Bipolar disorder, a cyclical illness characterized by periods of depression and mania, can be successfully treated with the use of medication, therapy and psychoeducation. Using psychoeducation, people with bipolar disorder can learn how to keep track of their moods, stressors, and triggers to episodes. By tracking this information, one can become aware of events or situations that could contribute to the onset of a depressive or manic episode. So many elements of our lives play a part in how we feel; whether it be amount of sleep, diet, exercise, medications taken, or stressful events. A mood tracking chart can quickly give a person much information about what is going on in their lives that could be affecting their mood. It can also serve as a way to keep track of information needed by a person’s psychiatrist or therapist. A basic daily mood tracker will have a place to indicate a person’s mood for that day, or mood in the morning and mood in the evening (if different). A beneficial tracker will have baseline mood, up to three levels above (mild, moderate, or severe elevation), and up to three levels below (mild, moderate, or severe depression). It will also have a place to indicate hours slept, which medications were taken and how many of each, and an area to write what was happening on a certain day. Of course, mood trackers can get increasingly more detailed than that. Other features available on mood tracking charts include places to indicate level of anxiety and/or irritability, alcohol/drug use, symptoms from medications, and menses, for women. Many examples of mood tracking charts are readily available to download and print from the Internet. In the last few years, there has been an increase of mood tracking charts available online. These online versions have several benefits. One of these is the ability to store information for a long period of time in one document. This feature is particularly helpful when a person with bipolar disorder is trying to get an idea of the pattern of their cycles over several months or a year. Since some people’s cycles are very long, a month-by-month mood tracker would not be of much help to them. However, a mood graph covering a year or longer would be very helpful. Another feature of an online-based mood tracker is the ability to either email or send a link for the tracker to one’s psychiatrist, therapist, or other person of their choice. This can be very helpful in keeping caregivers aware of what is going on at any certain time. Other features available with online-based mood trackers includes a large selection of symptoms to choose from that might be bothering a person and the ability to set reminders for completing the mood tracker, either with email or text message. Once a person has chosen a mood tracker they feel comfortable with using, the most important step is to consistently fill it out. This is especially important when a person is beginning to feel themselves go into a manic or depressed episode. For example, if a person with bipolar disorder has been at a baseline level for three months, and then several stressful events occur, many times sleep will become affected, appetite will become affected, alcohol or drug use will begin or increase, mood will begin to go up or down, and all of these elements can serve to trigger a manic or depressed episode. It is very important to be able to see the indications that an episode is starting, and to be able to take proactive steps to stop it or at least control it somewhat. Completing a mood tracker is also very important when a person is changing medications. By keeping track of any effects on mood or side effects experienced, a person would be able to tell their psychiatrist how a new medication was affecting them. 1) Find a mood tracking chart you are comfortable with using. 3) At least weekly, take the time to look for patterns between elements charted. For example, how does the amount of sleep you get affect your mood? Is your current medication combination keeping your moods steady? How does having a fight with a loved one affect your mood, sleep, or alcohol use? 4) Once you have determined some patterns using the mood tracking chart, implement any needed changes (under the guidance of your psychiatrist, therapist, and caregivers). You can ask yourself questions about lifestyle choices, such as: Do I need to sleep more? How can I handle stress better? Will eating more regularly and starting an exercise program help me feel less depressed? The ultimate goal is to be able to answer the question: How can I help myself have more steady moods? 5) Share your mood tracker with others; they might see patterns that you aren’t seeing.